If you were a child—or have a child or grandchild—chances are you know the Berenstain Bears. Papa Bear and Mama Bear, Brother, Sister, and Honey Bear are the family members whose daily lives provide gentle insight into the challenges faced by many families: messy rooms, bad manners, the first day of school, and scary dreams, to name a few. The Berenstain Bears are the creation of a real Mama and Papa Bear— Jan and Stan Berenstain. The couple married in 1946 and made their living selling cartoons and cover illustrations to magazines including The Saturday Evening Post, McCall’s, and Good Housekeeping. They published humorous books for adults during the early years, but it wasn’t until working with publisher Theodor Geisel (better known as author Dr. Seuss) in 1962 that The Big Honey Hunt, their first children’s book featuring the Berenstain Bears, appeared. More than 300 books about the Bear family have followed and 2012 marks the 50th anniversary of that first publication. 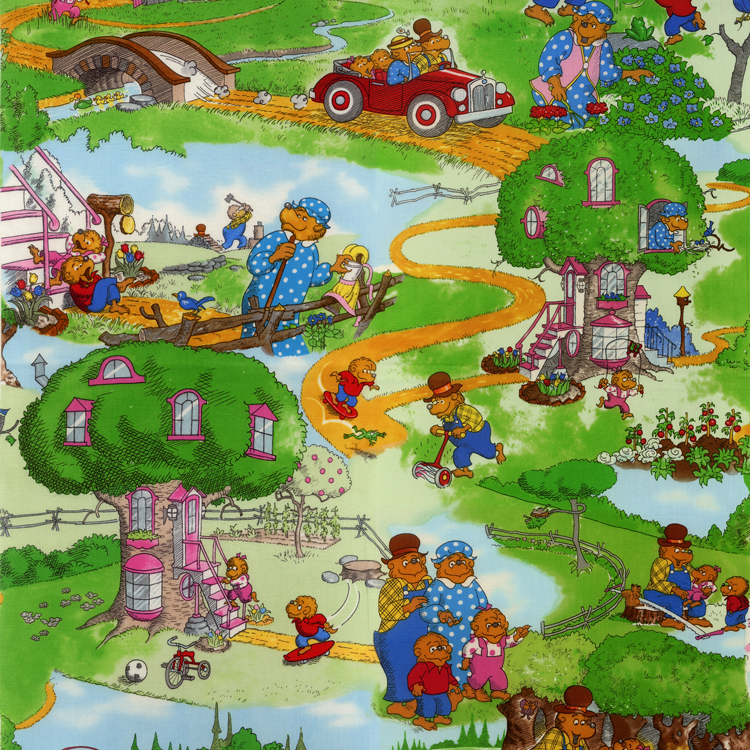 To celebrate a half-century of Berenstain Bear love, Moda is introducing Welcome to Bear Country, a line of fabric that features the Bear family at work and play. While the Berenstain’s son Mike acknowledges that sewing isn’t part of the Berenstain family skill set, he’s happy to be working with Moda. “We have been very pleased with the quality of Moda’s designs,” he says. The childhood exploits of Mike and his brother Leo were known worldwide, as Jan and Stan drew on their personal parenting experience as fodder for their books. Both brothers took it in stride. They’d hang out in their parents’ home studio after school, drawing. 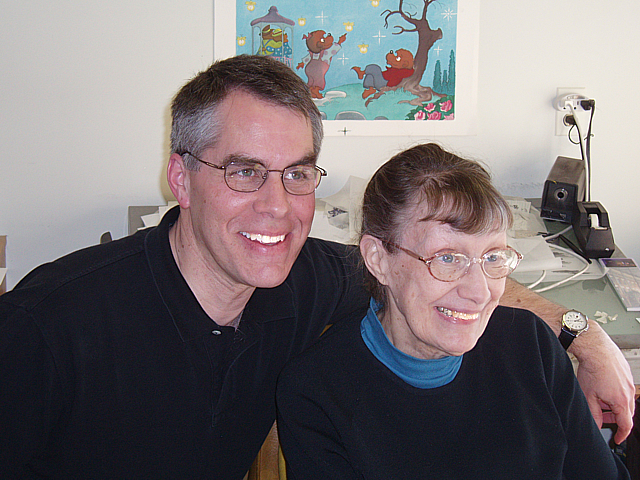 Leo eventually moved to the business side of the Berenstain Bears, while Mike, since his father’s death in 2005, works with his mother to develop stories, write text, and illustrate the books. “She’s 88 years old and continues to be very active in the illustration process,” Mike says. While Berenstain Bears books address topics that challenge contemporary families, this year they’ll also be looking back with the publication of Jan’s and Stan’s second and previously unpublished children’s book, Nothing Ever Happens at the South Pole, about a bored penguin who learns life around him is anything but dull. It was written at the encouragement of Theodor Geisel, who suggested after their first book that Jan and Stan try a new animal character, then changed his mind after the Bears’ success. Nothing Ever Happens at the South Pole was put on a shelf and misplaced for 48 years. It resurfaced during a basement cleaning and over the last couple of years Jan Berenstain has fleshed out her late husband’s initial sketches. The book will appear in August, one of 14 the Berenstains will publish in 2012. 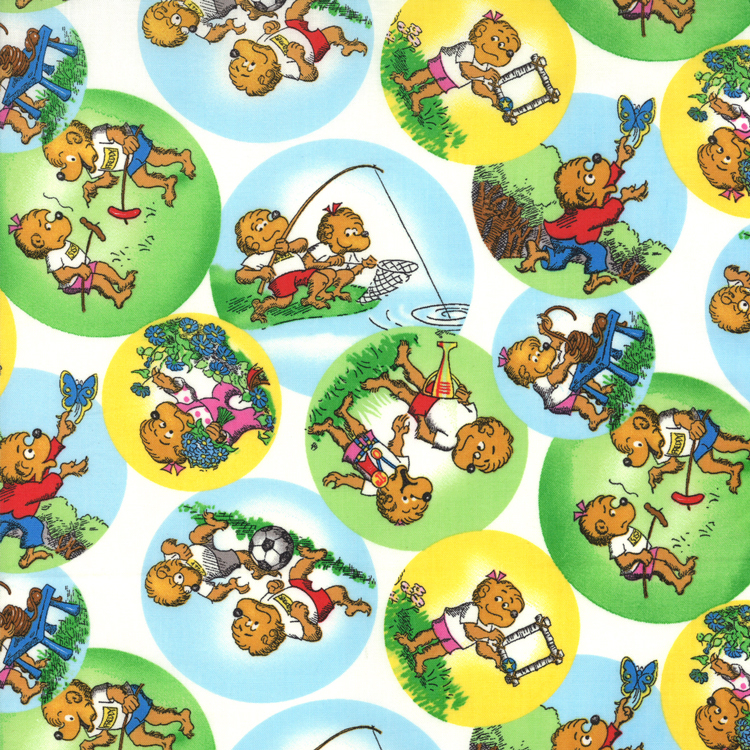 According to Mike, if anyone asks his mother when she’s going to slow down, she responds, “Maybe I’ll retire and take up painting!” The friendly teachings of the Berenstain Bears have helped millions of readers deal with thorny issues and now their images on fabric will remind children and grandchildren of that calm reassurance and sense of family fun. Long live the Berenstain Bears! 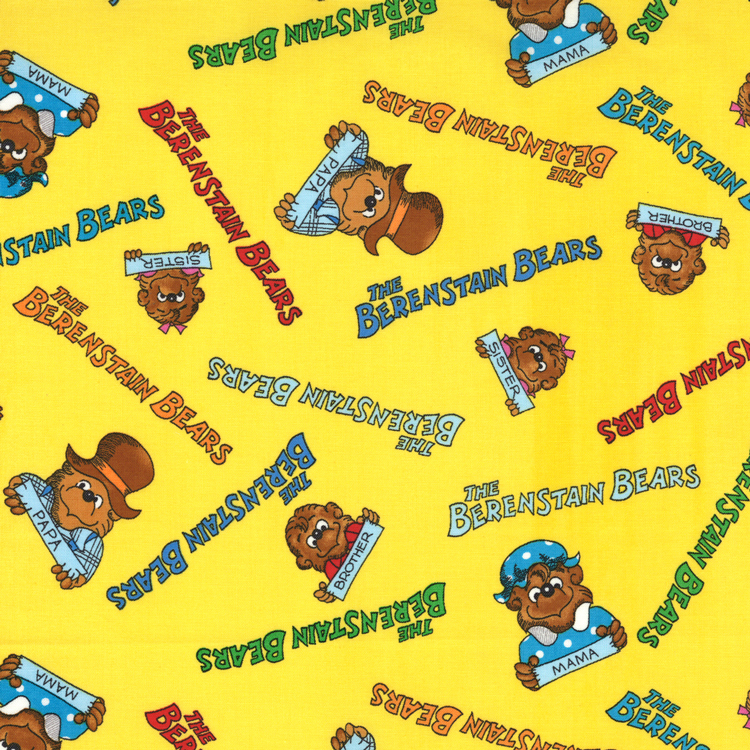 By Linzee McCrayIn FabricsTagged Berenstain Bears, Moda Designers, moda fabrics12 Comments on Welcome to Bear Country! I love the Berenstain Bears! 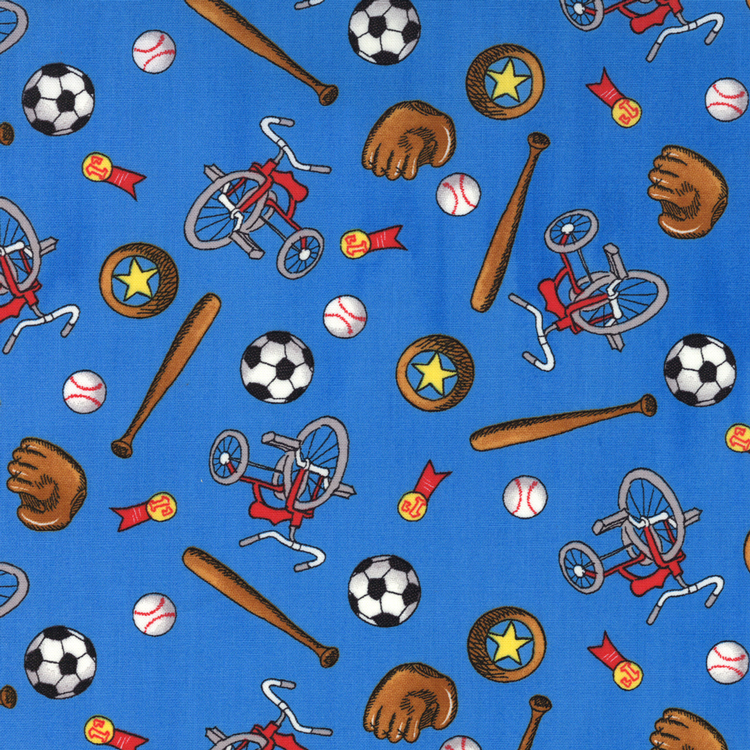 My kids love them too, I see a couple pillow cases being added to our house from these fabrics. Berenstain Bears are great! And I agree with Audrey that pillow cases would be darling! My son and I LOVE the Berenstain Bears! We found a huge pile of the books at a garage sale that were in perfect condition and were about 20 years old 10 years ago…that started our hunt for the books. We have stacks of them and love them still even though my son is 11 now. We still will take one to read together often. We also love the cartoon..and the fact that Mama Bear opened her own quilt shop at one time! 🙂 I will definitely be looking for this fabric! 🙂 And congrats to the Berenstain’s on 50 years of wonderful stories! I also love the Berenstain Bears! I had quite a few of the books when my kids were young that we read together. Don’t know if I still have them or not. How cool to see this fabric. I will need to get some. Love it! Can’t wait to see the fabric in person! My girls are all grown (well, the youngest is a senior in high school) and we love the Berenstain Bears – such great lessons in life! I can’t wait to pass on my collection to my grandkids and share the wonderful stories with them, too. And now we’ll be able to snuggle in a matching quilt! My favorite is the bear’s picnic book. I read it as a kiddo, read it to my kids, and saved it for my some day grandkids. It’s one of the few books I saved (I HATE to save things, so that means I REALLY love it!!). We have owned many, many BB books–they are some of my all time favorites. We are just thrilled that Moda has teamed up with the Berenstain family. 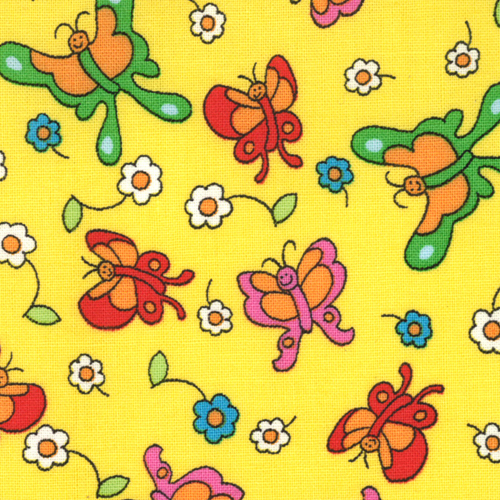 Can not wait for the fabric to arrive!!! We had all the BB books at our house too. And the charm squares and the layer cakes came into my LQS and I already have them and have a quilt half way done with the charms. Love it!!! I gave our books to my cousin’s girls to enjoy. I love these bears. It’s so great they’re making some fabric will definitely have to get my hands on some! !